5000RS-2W-1 2-Way Car Alarm, Remote Car Starter with LCD Pager Remote & 5 Button Remote. 4 Channel System. A small and innovative Remote Transmitter Pager with Alarm and Remote Car Starter. The 5000RS-2W-1 will instantly alert you should your vehicle be violated. 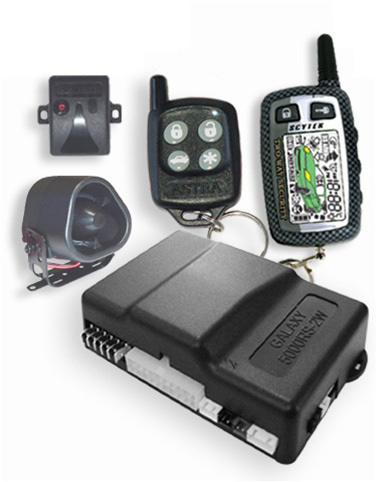 Remote Start and Monitor your Vehicle from up to 2500ft . The bright LCD display on the Transmitter accurately monitors doors open/closed, hood and trunk open/closed, and hard impacts to your vehicle. It even advises whether the vehicle's engine is running. When purchasing the 5000RS-2W-1 2-Way Car Alarm, Remote Car Starter, Keyless Entry ,LCD Pager, consider the other items listed below. You can add all desired items from below at one time by clicking the Suggested Items Add Page link.